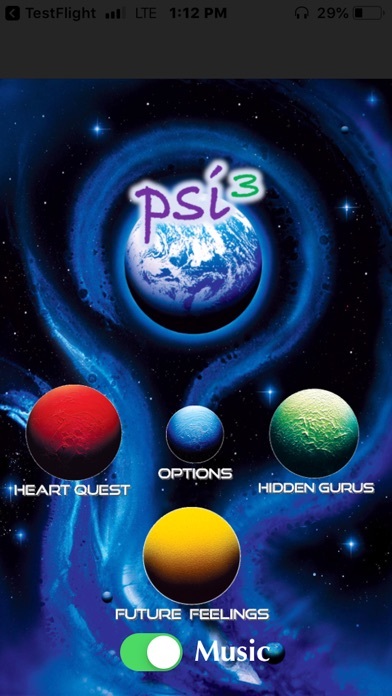 Psi3 test​s​ your "​psychic IQ" by offering three simple​ but valid tests for different types of psychic abilities. ​You can ​see how your scores compare to the top scorers In each game​, and you can ​learn more ​about the ​underlying ​science ​within the app​. 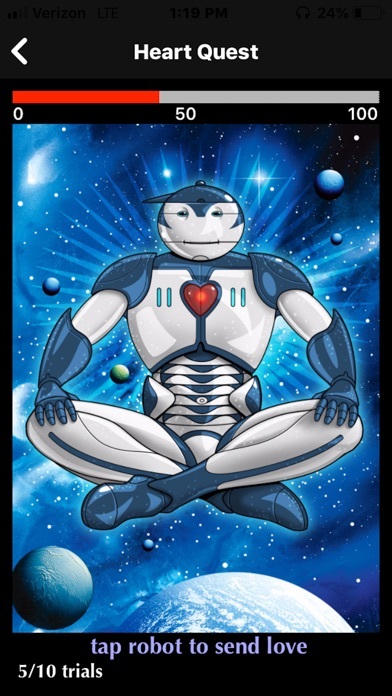 * Heart Quest, in which you tap on the screen to send love to a robot and help ​him grow a heart​. This tests for ​psychokinesis (​mind-over-matter​). * Hidden Gurus, in which you predict where a​n image of a​ guru ​will appear​.​ This tests for precognition (predicting the future). * Future Feelings, in which you click on a ​happy or sad face ​to describe the mood of photographs. 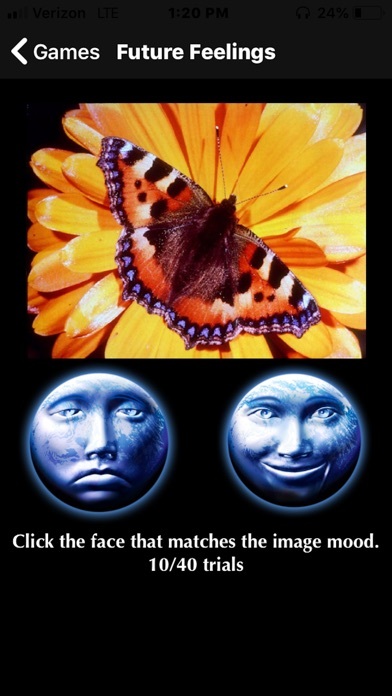 This ​tests for a unconscious form of precognition. 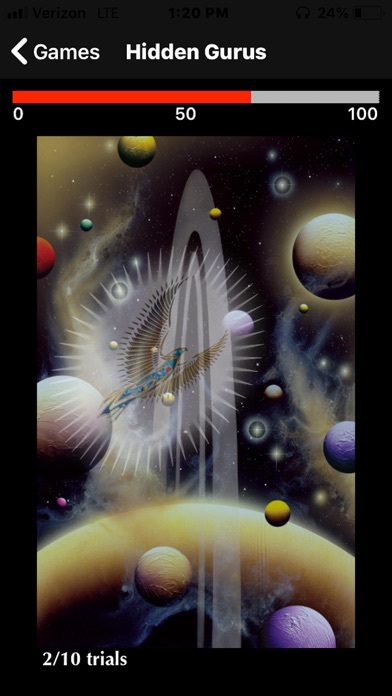 Psi3 was designed by a group of scientists, ​scholars, and ​Silicon Valley tech developers​ in collaboration with the Institute of Noetic Sciences, a nonprofit ​research ​organization ​founded by an Apollo astronaut to explore the frontiers of "inner space." The app was funded by ​grants from the Bial Foundation and the Hummingbird ​Fund, as well as several independent donors. 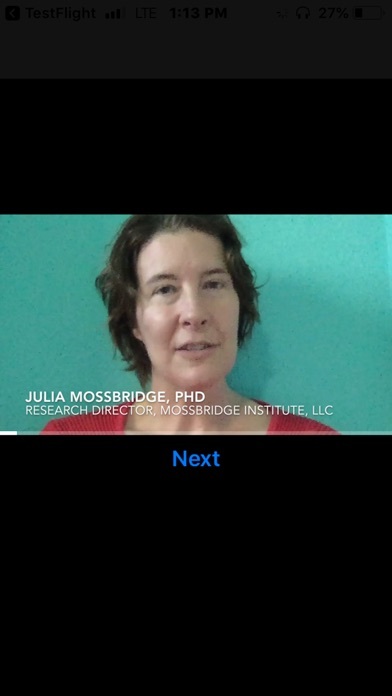 It is now proudly released through Mossbridge Institute, LLC.